DESIGNED TO DELIVER CONFIDENCE, SEASON AFTER SEASON. You want to enjoy the drive with a tire you can trust for years to come. Count on my long-lasting tread and all-season capabilities to do just that. Multi-pitch Variation reduces amplification of pattern noise for a more enjoyable drive. Sweeping cross grooves provide exceptional bite for traction on wet and wintery roads. 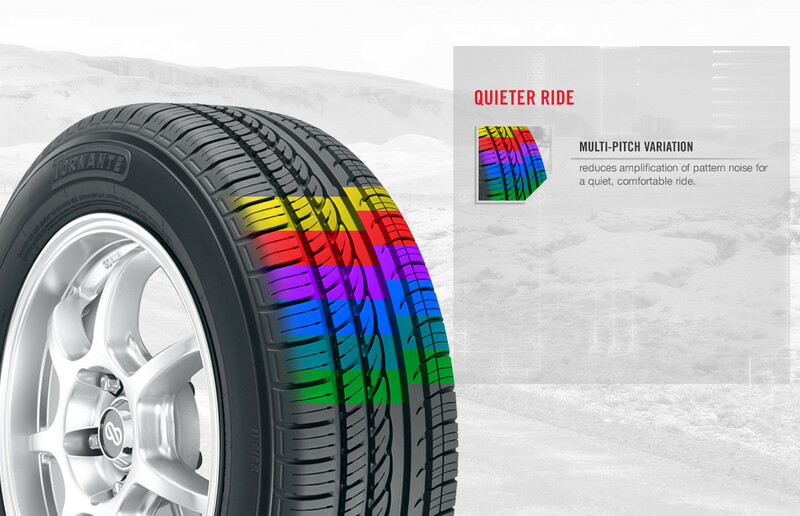 Adaptive 3D sipes maintain biting edges as the tire wears for enhanced wet and winter traction. Yokohama tires are designed to perform better, keep you safer, and take you further. The Tornante’s advanced compound and tread design ensure long tread life and all-season handling. Cross-supporting tread blocks maintain excellent grip during cornering and constant-contact ribs ensure confident handling. We guarantee you’ll love driving on your Yokohama tires. Which is why we provide a Satisfaction Guaranteed 30 Day Trial and a warranty of up to 85,000 miles. The TORNANTE is available exclusively at the following tire dealerships. Click on the dealer links to find a location near you.